The Body Scrub, $38, 12 oz. This is a huge size! This is my favorite product. The smell is unbelievable and this will soften up very dry problem areas. 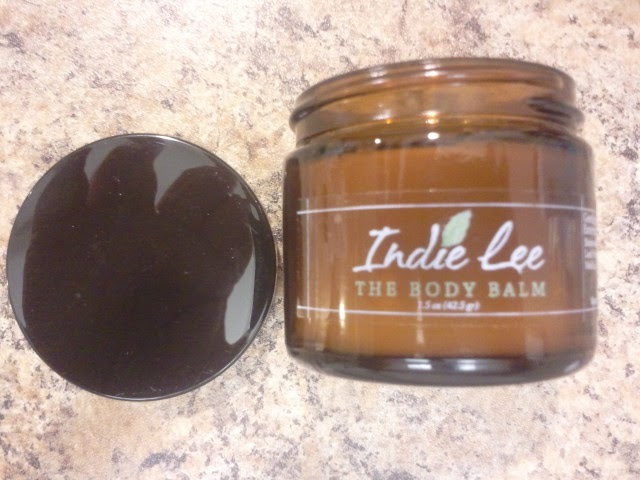 I've been using it on my elbows, knees, and legs and find for a couple days after my skin remains softer. 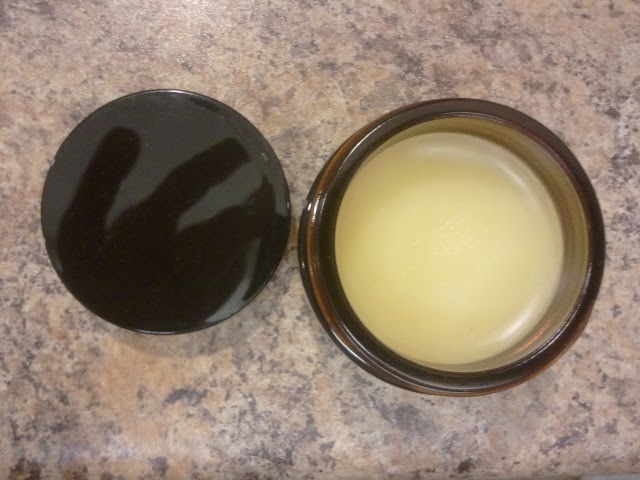 The Body Balm, $24, 1.5oz. A little goes a long way with this. This is great for elbows, heels, and hands. I used this around the cuticle area and noticed my hands looked softer. I get a lot of dry skin on my hands in the winter. This does have a oily type feel to it, it will sink into your skin. I personally prefer lotions over balms. Lavender Face Oil, $24, 4 oz, Huge bottle for the price! 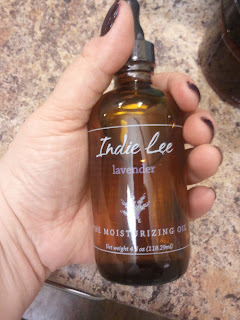 My skin has looked great after using this and alternating it with the Squalane Facial Oil. 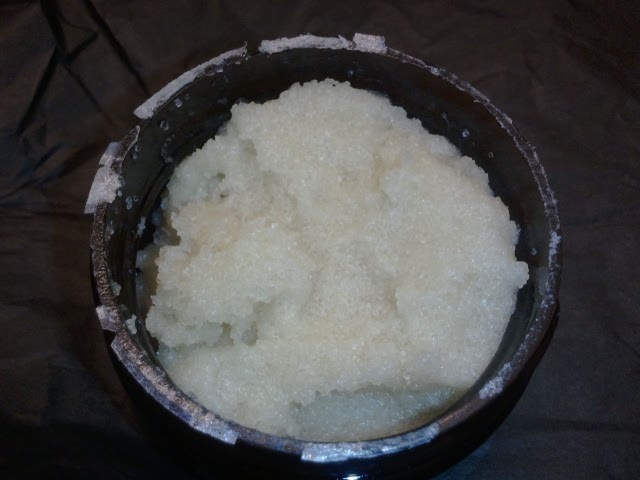 This will not leave your face feeling oily and it will not clog your pores. 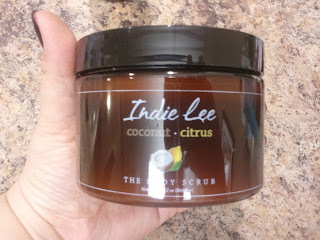 This is my second fave product and I would highly recommend. I'm in love with this lotion. It smells amazing, but I didn't see it for sale on the website. My hands and skin have been very soft using these. I keep these by my bathroom sink. If you want to try out her product I would suggest signging up for Beauty Army which is a monthly beauty subscription service, $12/month where you get to choose your own 6 samples. 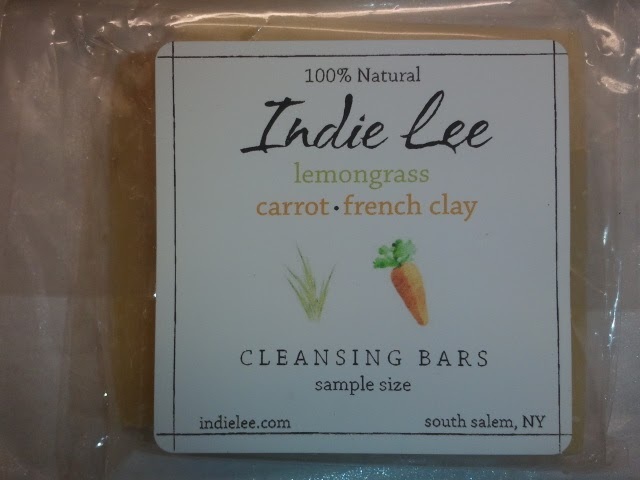 Indie Lee is partnering with them. Otherwise, I would highly recommend purchasing the Power Trio which is the body scrub, the body balm, and the lavender face oil. This retails for $80 which saves you $10 than if you had purchased separately. 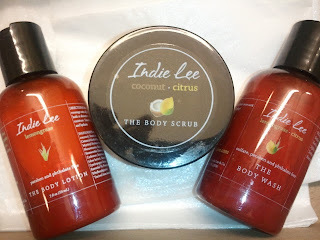 This includes my 2 fave products which are the body scrub and face oil. 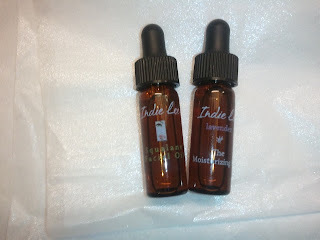 Thanks Indie for bringing us these natural, not greenwashed products!